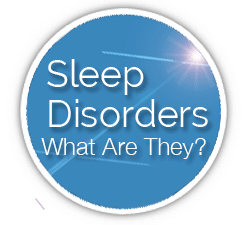 If you or a loved one have difficulty falling and staying asleep at night, or staying awake during the daytime, you may have a sleep disorder. Maybe you just want to stop snoring and sleep through the night, or seek snoring treatment so a loved one can get a better night’s sleep. If you are experiencing this difficulty or are witnessing someone in your family struggle with getting a good night’s rest, then you’ve come to the right place. It is the mission of The Southern California Pulmonary and Sleep Disorders Medical Center (serving Thousand Oaks, Los Angeles, Malibu, Westlake Village, Camarillo and the rest of Southern California) to help you determine if you have a disorder, identify that disorder, and then help you determine the appropriate course of treatments and solutions that best suit your condition as well as your personal needs and preferences. Do you think you may have a disorder? Not sure what disorder you may be suffering from? Do you need help in sorting through all of the information at your disposal? Let me help. CLICK HERE to learn more . Have you already been diagnosed with a disorder but want to discuss available treatment options with Dr. Popper? CLICK HERE to contact our office. Is “The Mask” the Only Treatment for OSA? Are you concerned that you might be suffering from apnea or have you already been diagnosed with OSA? Are you concerned that the only treatment will involve “the dreaded CPAP mask?” Have you already tried CPAP and didn’t tolerate it or you just don’t even want to try it? DON’T WORRY! We offer a variety of treatment alternatives to CPAP … and we have the knowledge and expertise to help you. CLICK HERE to learn more about OSA and available treatment options. Inspire therapy is an innovative treatment option for people with moderate-to-severe Obstructive Sleep Apnea who are unable to use or get consistent benefit from CPAP. The fully implanted system continuously monitors a patient’s breathing patterns and delivers mild stimulation to key airway muscles which keeps the airway open during sleep. Inspire therapy is controlled with a small handheld remote… no mask or hose needed. Patients simply turn the therapy on before they go to bed and off when they wake up. Inspire therapy can help eligible patients take control of their sleep apnea and can give them the restful night’s sleep they’ve been missing. CLICK HERE to learn more about Inspire Therapy for Obstructive Sleep Apnea. 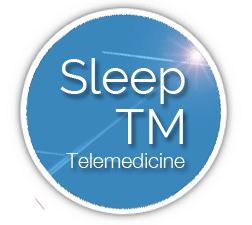 AASM SleepTM is a state-of-the-art telemedicine system for sleep medicine that expands patient access to professional expertise and treatment by integrating secure, web-based video encounters. Your consultation, using a secure video portal, is completely HIPAA compliant while affording broader access to sleep specialists. It also eliminates the time-consuming commute, waiting room and scheduling issues. Telemedicine used to represent the future of medicine, but telemedicine is here now – and it’s available to you at Southern California Pulmonary and Sleep Disorders Medical Center. Want to know more? CLICK HERE to get started today. Would you like to speak with one of our friendly, professional team members right now? No problem. Call 805-557-9930, or CLICK HERE to send us a message from our Contact Page. We’ll get back to you as quickly as possible. We’re here to help.We provide sleep apnea treatment services in Thousand Oaks, Malibu, Westlake Village and Camarillo. Did you know that most “sleep physicians” are not Board Certified and that most “sleep clinics” are not accredited? Dr. Popper is Board Certified in Sleep Disorders Medicine by both the ABSM and the ABIM. In addition, the Center has been fully Accredited by the AASM since 1985. To learn more about the importance of seeing a board certified specialist and having your sleep studies performed at an accredited center CLICK HERE.